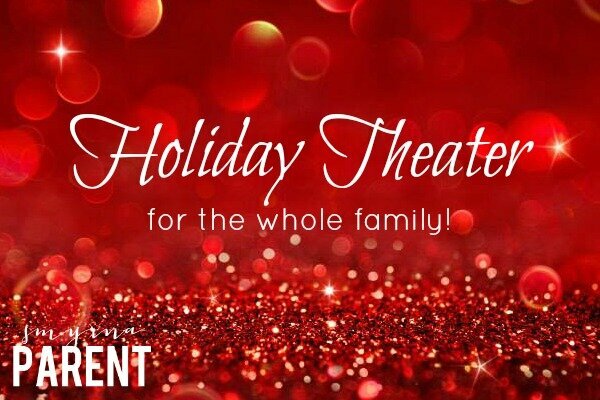 There’s nothing quite like the magic of a live performance, so we asked Jitterbug Performing Arts owner, Lindsay, to share her favorite holiday-themed plays that are perfect for the whole family. Whether this is your child’s first experience, or they’re an old pro, these shows are sure to create special holiday memories. Age recommendations are just suggestions. You know your child best and can assess whether or not they are ready! Celebrate the Alliance’s 25th anniversary staging of the beloved Dickens classic and the all-Atlanta cast you’ve come to treasure. On Christmas Eve, miserly Ebenezer Scrooge is visited by three ghosts – the spirits of Christmas Past, Present and Future, who help him see his life more clearly and teach him that it is never too late. A magical tradition for the whole family, and a great way to celebrate the season. This one is worth the drive! This winter, the classic tale of loyalty, redemption, and love comes to life with the story that brought us FROZEN, the most successful animated film ever. In this world-premiere adaptation of The Snow Queen by Rachel Teagle, audiences will join brave Gerda on her epic quest to save her brother from the icy allure of the mysterious Snow Queen and the chill creeping into his own heart. A triumph of love over cynicism, this stunningly visual piece will be a holiday show like nothing you’ve ever seen before. Before there was FROZEN, there was The Snow Queen! Rudolph soars back into town for this faithful adaptation of the wonderful holiday tradition that speaks to the misfit in all of us. Based on the beloved 1964 stop-motion animated special, Rudolph and his friends (including Hermey the Elf, Yukon Cornelius and the Abominable Snow Monster) take the stage in what the Atlanta Journal-Constitution describes as a “holly-jolly holiday adventure for theater-goers of all ages.” You won’t want to miss it! Atlanta Ballet’s Nutcracker Returns to the Fox Theatre for its 55th Season. The whimsical holiday tale takes 20 pounds of snow, eight tons of scenery, lighting, and props, and a 38-foot-tall Christmas tree to make the magic of Marya’s unbelievable story come to life. More than 200 of Atlanta’s young dancers will join the Atlanta Ballet professional company for this extravagant production live with the Atlanta Ballet Orchestra and the Georgia Youth Choir for all performances. After 55 years, Atlanta Ballet’s Nutcracker continues to be a treasured holiday tradition shared by multiple generations. “In an old house in Paris that was covered with vines lived twelve little girls in two straight lines,” begins the story of Madeline. This holiday season will be unlike any other for Madeline and her friends. While on their morning walk with Miss Clavel, the girls come down with the flu, and as they take to their bed, many wonder if they will be able to go home for Christmas. With the arrival of a mysterious stranger, Madeline and the other girls get a holiday adventure beyond their wildest dreams. A musical play adapted from Ludwig Bemelmans’ delightful book. A holiday treat for the whole family! Madeline’s Christmas runs 1 hour with no intermission. The tradition continues with another year of a SPECTACULAR holiday song and dance revue! A Christmas Tradition is guaranteed to make the entire family dance, clap, and enjoy the spirit of the holidays – from Santa-loving six year olds to out of town in-laws. The Sanctified Sanders Family Singers return to the Marietta Square to celebrate the holidays with faith, family, and old-fashioned fun. World War II provides the dramatic underpinning to the story of a family living in the rural town of Mount Pleasant, nestled in the Blue Ridge Mountains of North Carolina. The Sanders family attempts to raise the spirits of their faithful flock (and audience) in a rousing and energetic Christmas gospel sing-along of cherished holiday hymns and carols. Also, don’t forget to bookmark our Holiday Events Guide which features tons of events (near and far!) to help celebrate the holiday season! This list is updated several times a week, so check back often! This makes me happy! I’m so glad Elia is old enough to start taking her to a few of these!